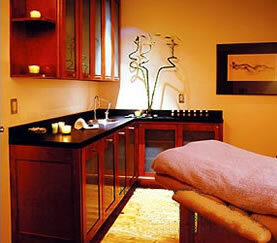 Spa NYC is looking to open a Medical Spa and has talked to some Medical Spa Consultants. We are looking into opening a medical spa. We are physicians, general practititoners, and have spoken to several consultants who would provide assistance to do the business planning, financial proformas, operating procedures, assist in hiring staff, marketing, equipment recommendations, space planning, info systems recommendations, web site development, etc. We are located in the greater NY metropolitan area. anyone use a consultant they would recommend, or is it even worthwhile to do so? Beware. The vast majority of medical spa consultants are less than worthless in my opinion. Thre are only two that I've ever recommended and they both specialize in a specific niche. Physicians are, as a rule, intelligent, but they think that because they're intelligent that they'll be able to 'think their way through' a problem. That's not generally the rule. Physicians have a reputation for being poor at business and there's reason enough for that. The real cost of poor medical spa consultants is that they waste your time and distract you with irrelevant things like proformas statements and excel worksheets that project your earnings. Useless. Of the dozens of clinics I've been involved in and the millions of dollars spent and made, I've yet to see one single medical spa business plan that was worth a piss in the wind. My advice is this. Go slow. The market isn't going to be kind to those who make mistakes and you can easily spend a couple of hundred thousand dollars in a bloodbath education. Just ask the myriad of physicians who regularly frequent this site. Go slow. Go slow. Go slow. Spreadsheets are worse than useless as are business plans. I've written dozens and they're used to give a sense of security where there is none. Choosing technology? Note this sentence from Susan DeGuide MDs testimonial on joining Medical Spa MD: "I would not buy a new piece of equipment now without first consulting Medical Spa MD". If you're looking for someone to build your medical spa for you so you can just step in, work 40 hours a week, and own everything, you've already lost. Cosmetic medicine is an entirely new area for most non-core docs and there's a learning curve. Don't get ahead of it. The greatest thing about Medical Spa MD is that you're able to find and network with physicians who are not your direct competition and are willing to help. Take advantage of it. If you have some advice for a physician group in NYC that's opening a Medical Spa, help them out here or in the forums.